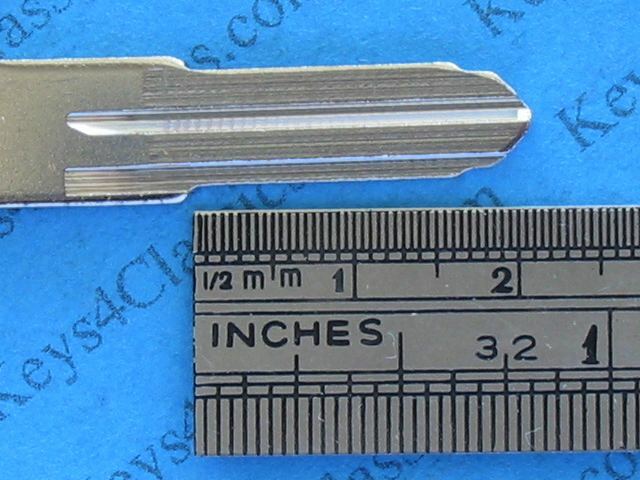 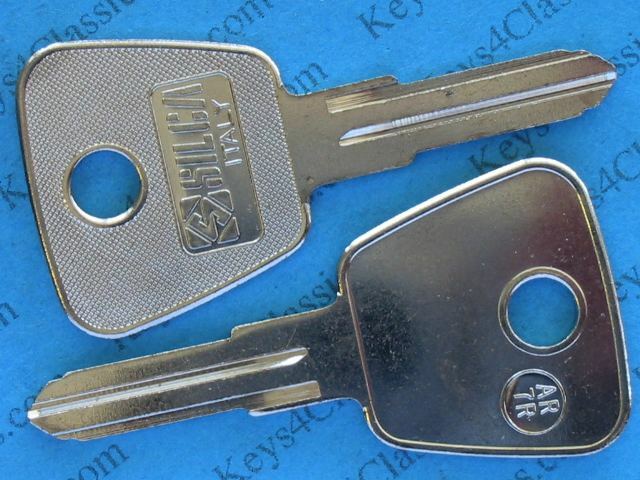 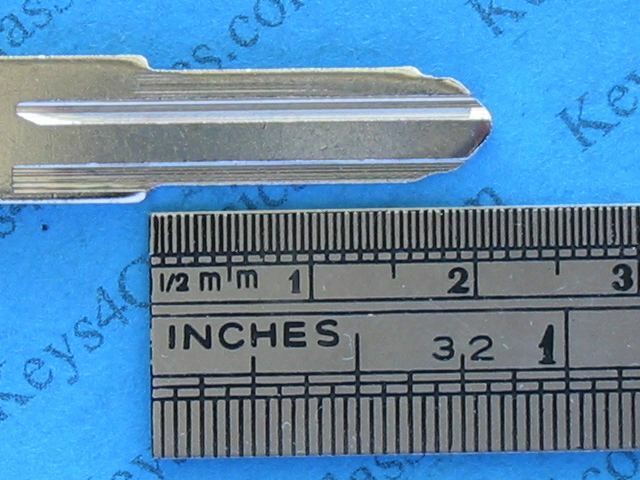 Key codes S 1-50 or MS 1-50. 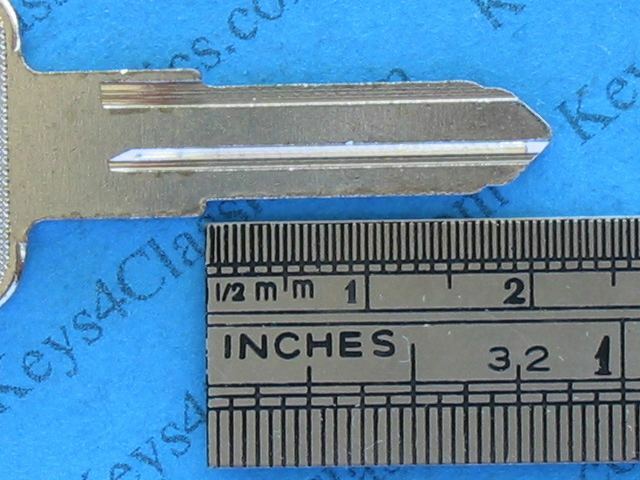 Temporarily unavailable as uncut key blanks. 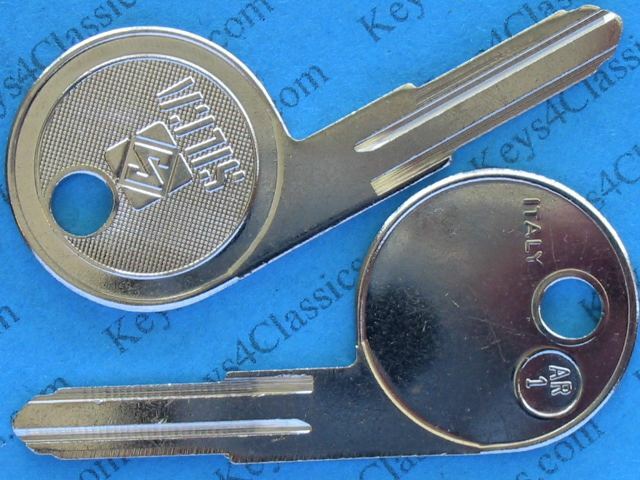 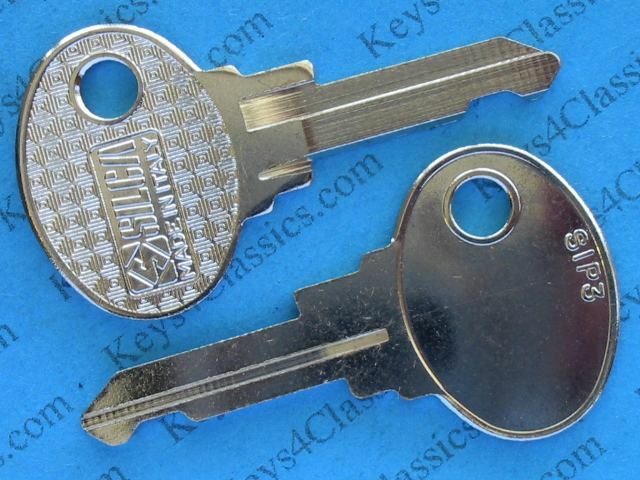 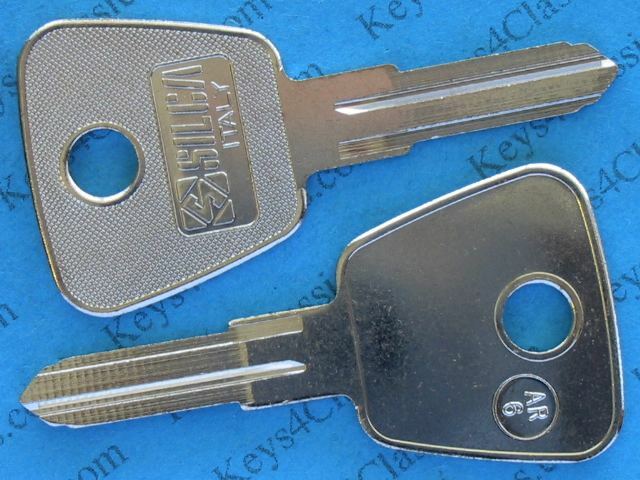 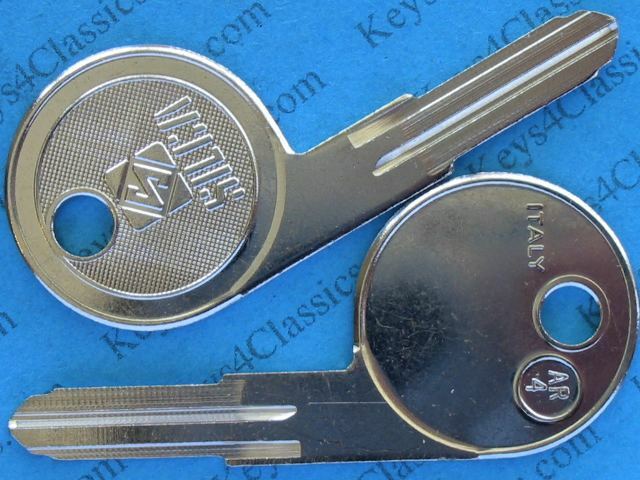 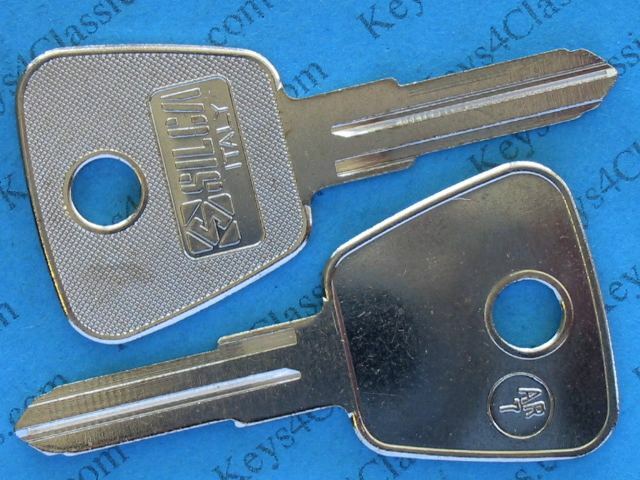 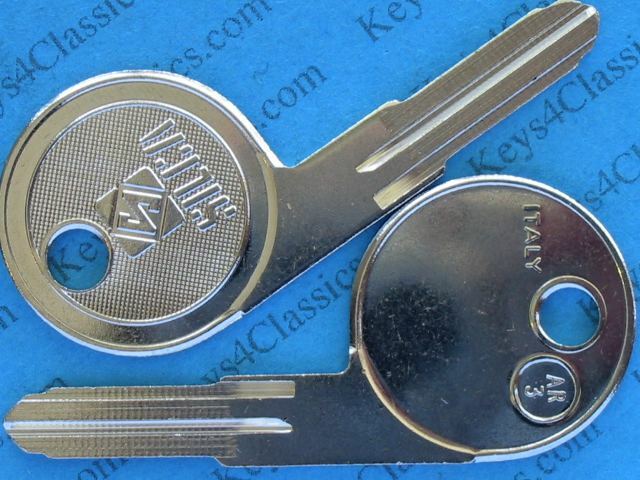 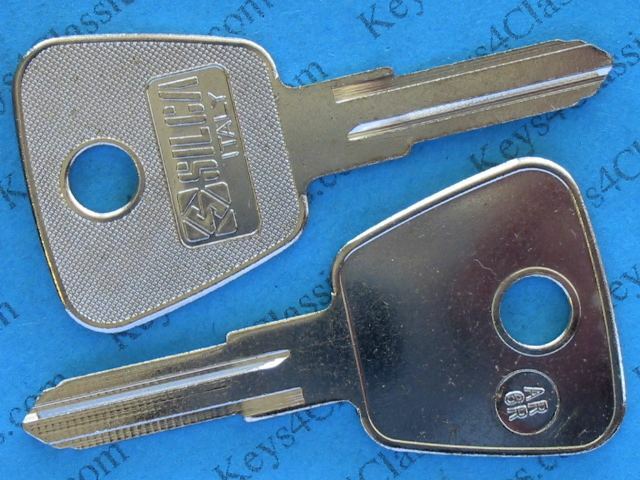 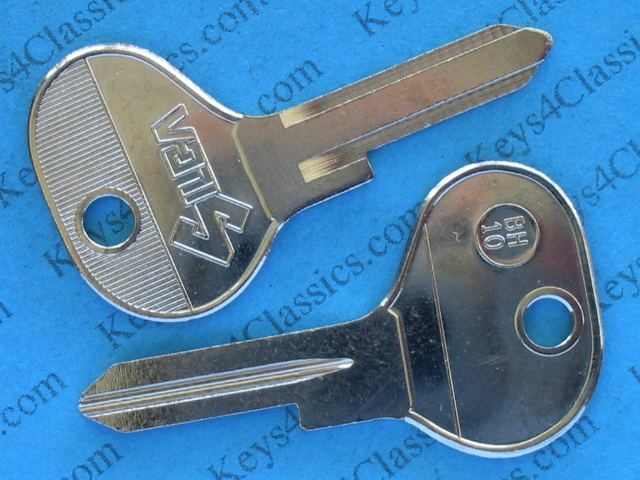 Please inquire about keys cut to code. 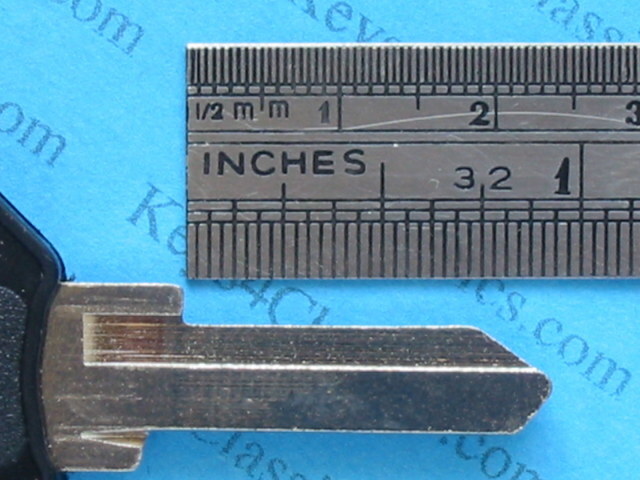 Key codes 5 digits plus A, D or F. Uses only digits 1, 2, 3, 4, 5. 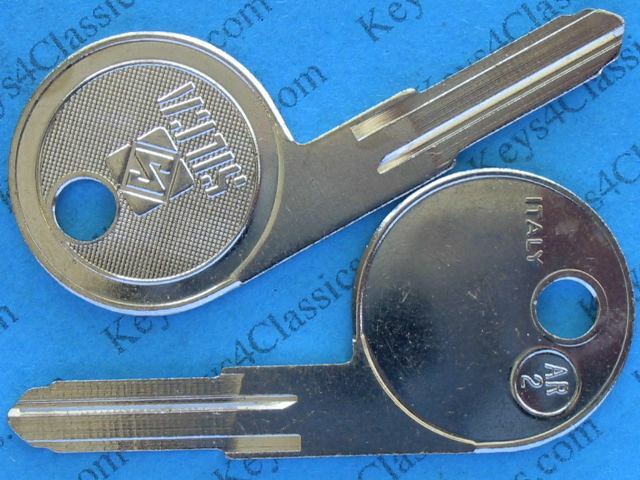 Key code begins with A then a number either 501 to 3278 or a 5-digit number using only digits 0, 4, 6, 8, 9. 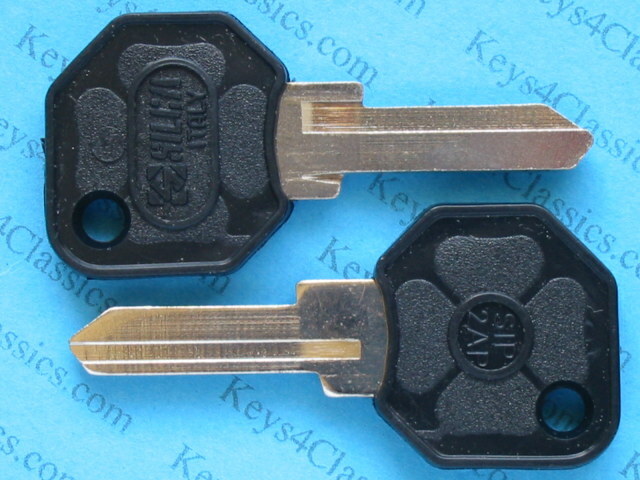 #080 IGNITION - for more detail see here. 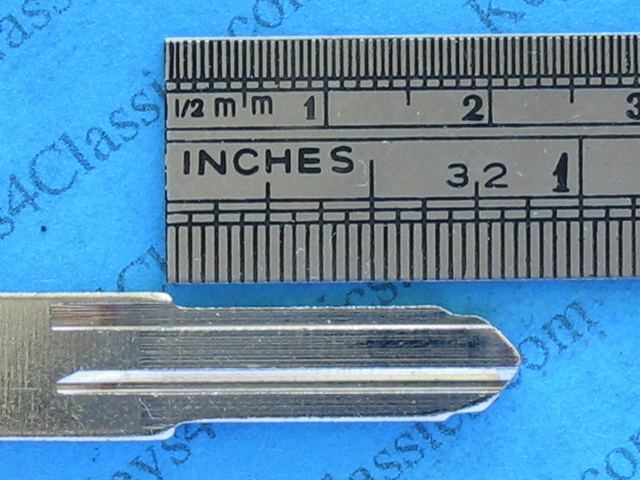 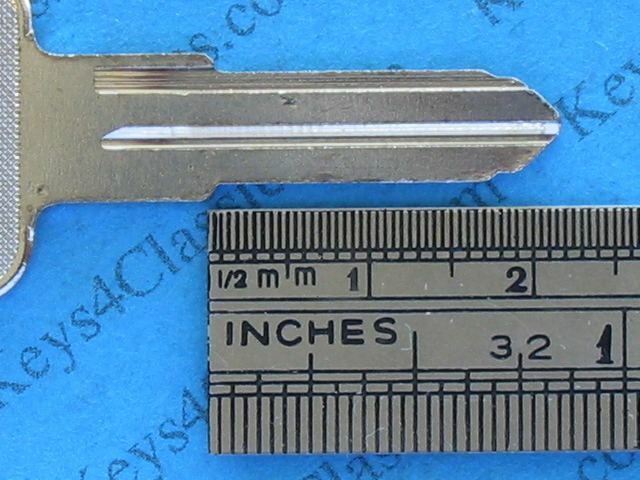 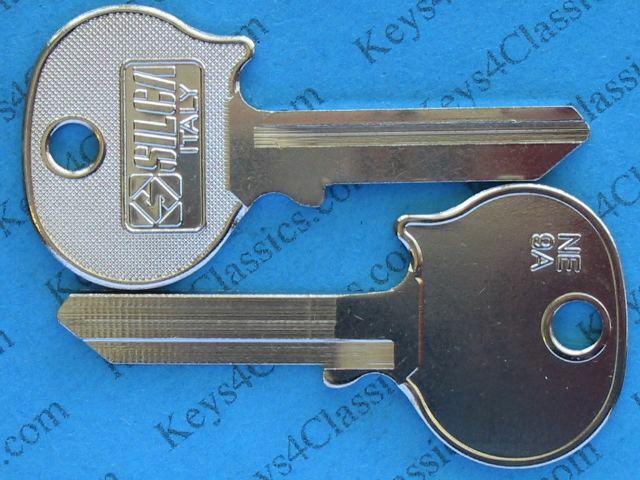 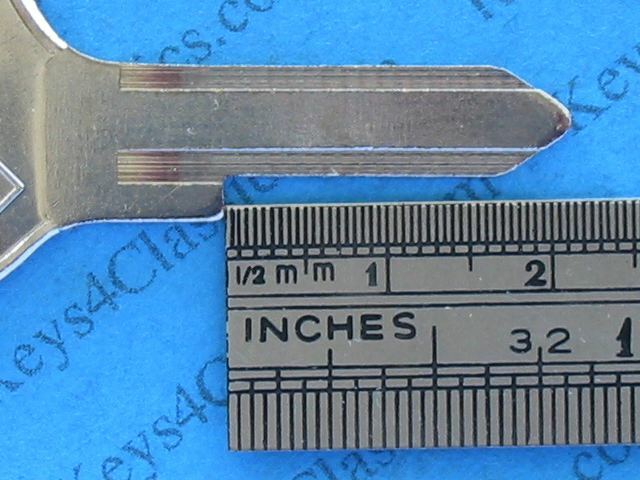 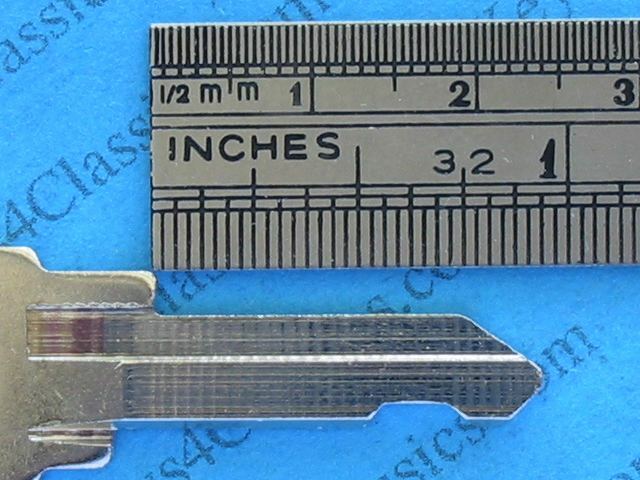 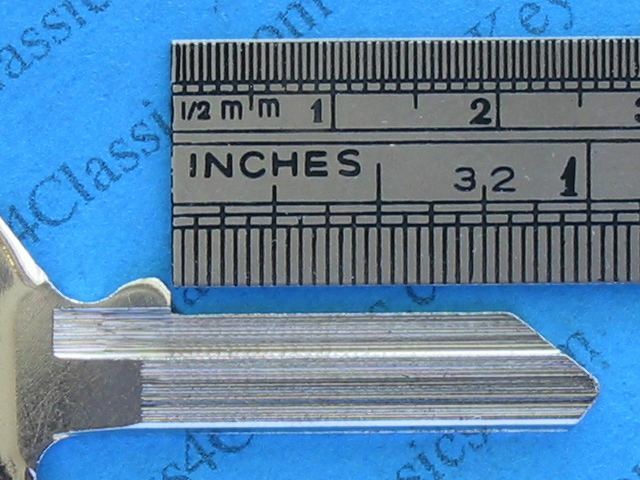 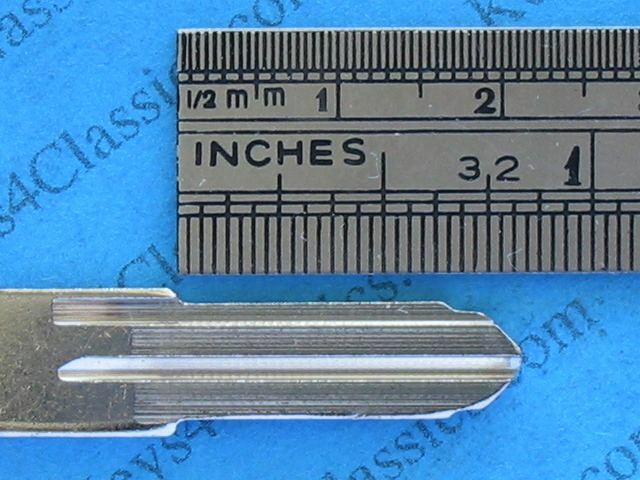 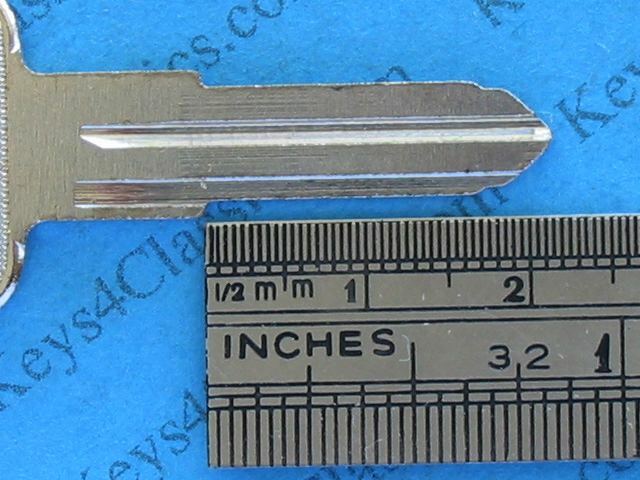 Similar profile to #079 but with 'notch' cutaway in back of key. 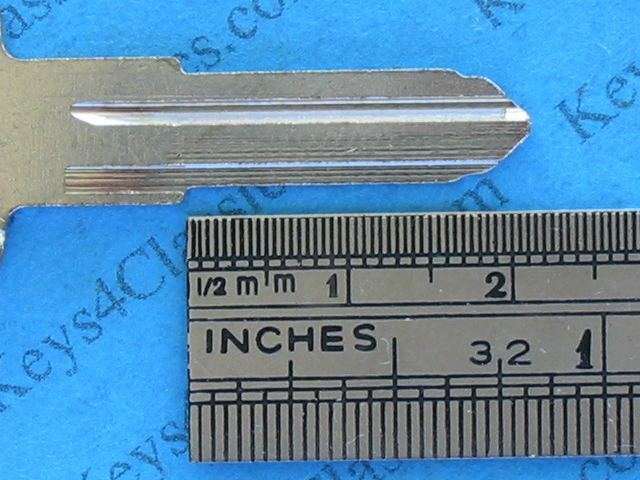 Key code begins with B then a number either 501 to 3278 or a 5-digit number using only digits 0, 4, 6, 8, 9.